Optos is a leading medical technology company for the design, development, manufacturing and marketing of ultra-widefield retinal imaging devices. In May 2015, Optos was acquired by Nikon. In August of 2017, Optos celebrated the 25th anniversary of our founding and of ultra-widefield retinal imaging. Optos is committed to utilizing the latest technology to manufacture new products and software that support optomap as a standard of care, therefore, helping eye care professionals around the world save sight and lives. Optos had a complex 2007 based intranet that was a large repository for documents and a staging area for project management. They had a unique business logic gating system with custom event handlers for process automation. They asked us to migrate their 2007 farm and work within the constraints of moving from on-premise to cloud, and also coordinate with their overseas office. In 2017 we migrated from 2010 to 2013 to 2016 with zero business downtime, and continue to maintain their SharePoint farm health. We then did a series of test migrations to 2010 and each one would yield additional information about third-party components or irregularities about their existing database. We would remediate the source, perform another test migration, evaluate the result​s and repeat as needed. Digital design experience is very, very important to Optos and they worked with us to provide some mockups of desired inte​rface design. Christine Ho, their web designer, and SharePoint administrator, had advanced skills and was able to provide us CSS and other advanced artifacts that helped make this project have an excellent outcome. In spite of roadblocks such as undocumented third-party software, problems with connections to their host, and all the usual unforeseen issues that always arise, we got the project done on time and within budget. A great deal of the success is attributed to Maria Chaves, project manager, who patiently worked with us throughout the undertaking. A close relationship was formed and to provide ongoing support, a SharePoint Managed Services agreement was made. When you're doing a SharePoint migration you don't want to loose a whole day or even multiple of work because your portal is down. That's why you need to be sure that you're using the best Microsoft SharePoint consulting service so that your project will get done with no loss of business time and no suprises. 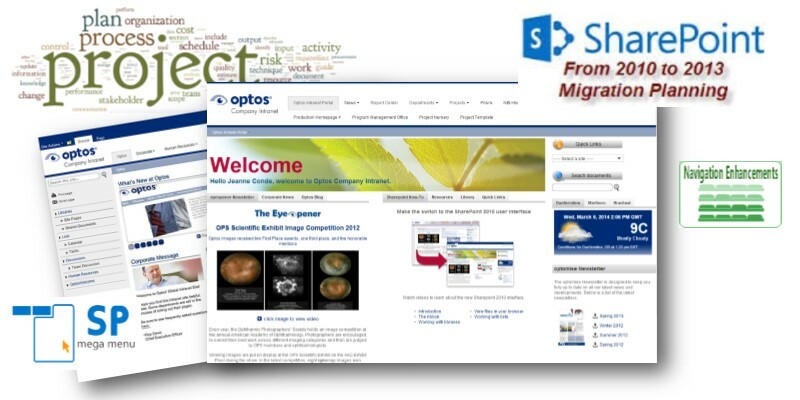 Please read more about our zero business outage SharePoint migrations here and contact us today!